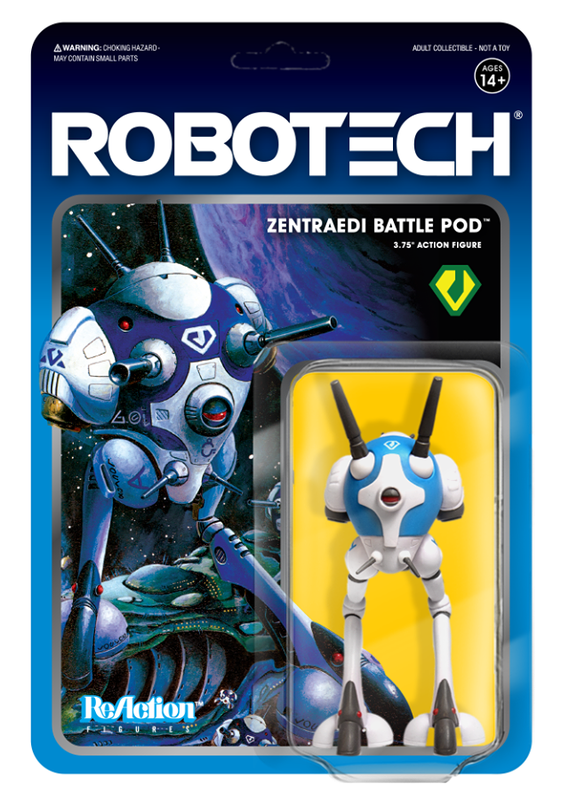 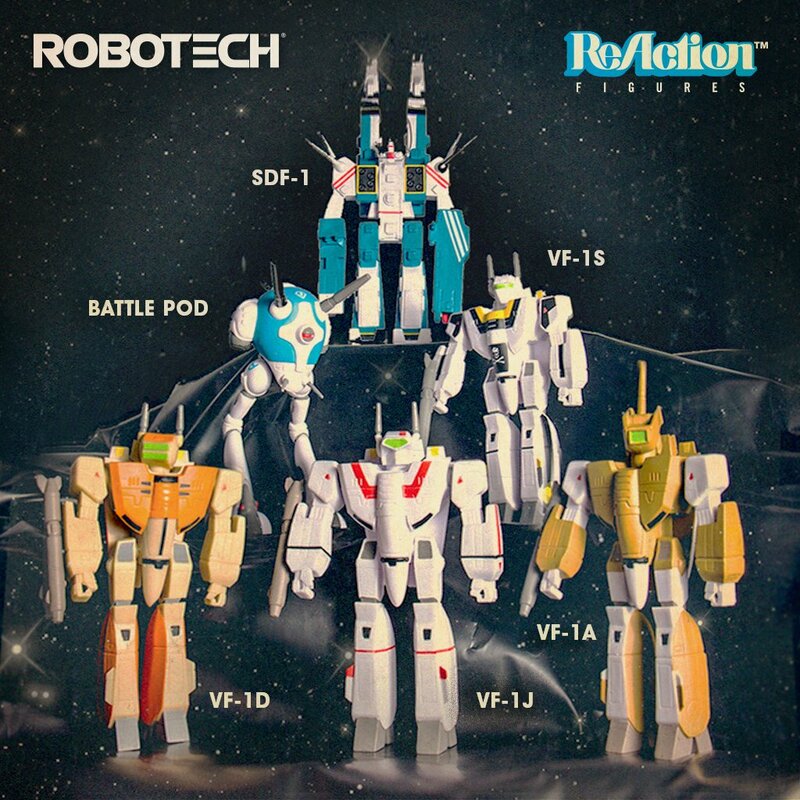 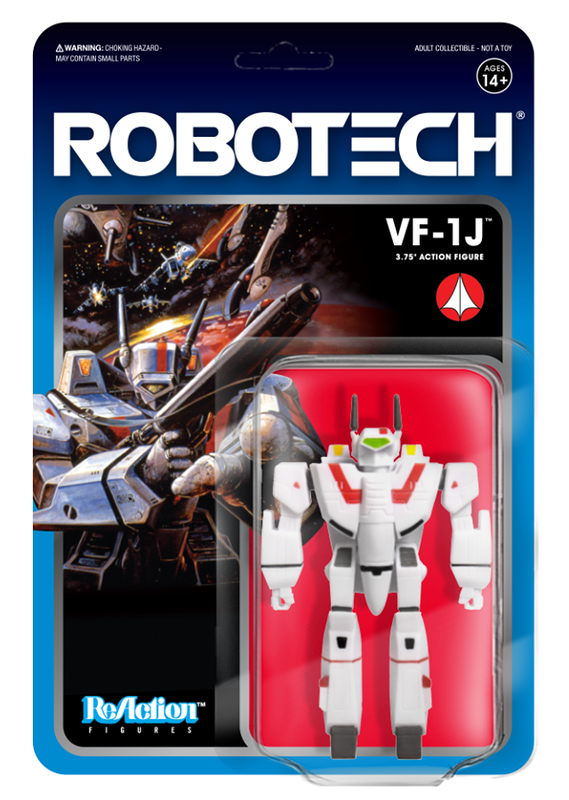 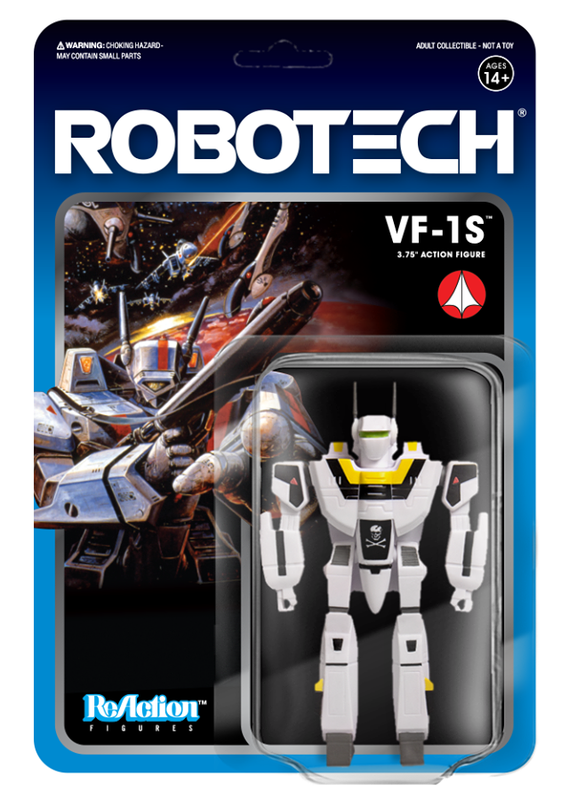 Sure, you might have your eye only on the Valkyries in the line-up, but why not snag ALL SIX of the 3.75-inch ROBOTECH ReAction Figures for US$90 since launched online via super7.com? 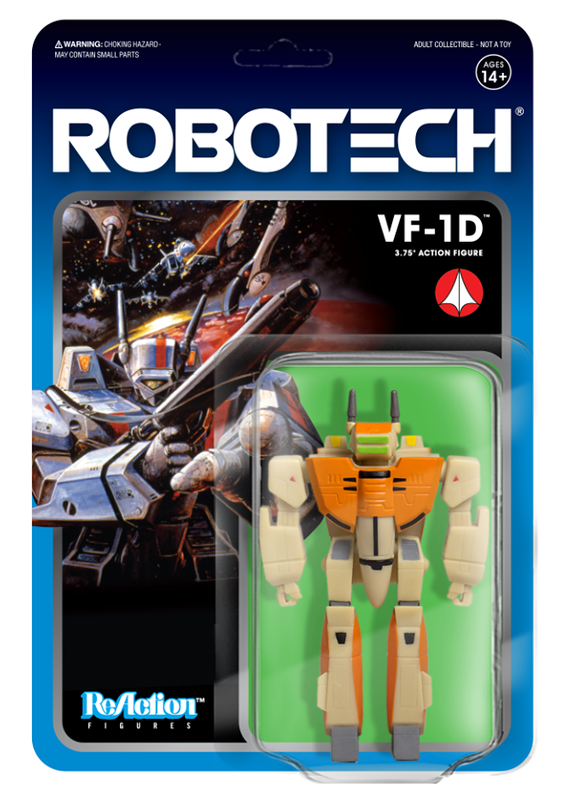 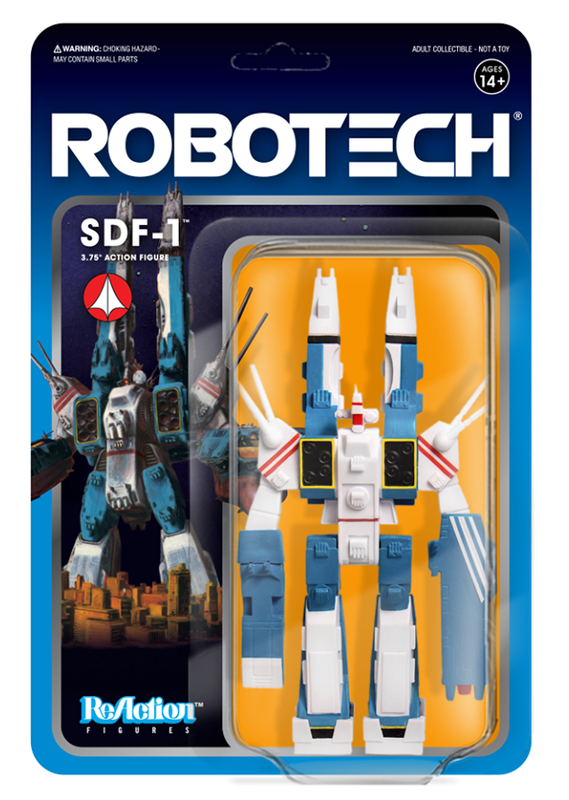 "Wave 1" includes Battle Pod, SDF-1, VF-1A, VF-1D, VF-1J, and VF-1S, and your Robotech-dreams personified in an affordable set of action pre-painted figures. 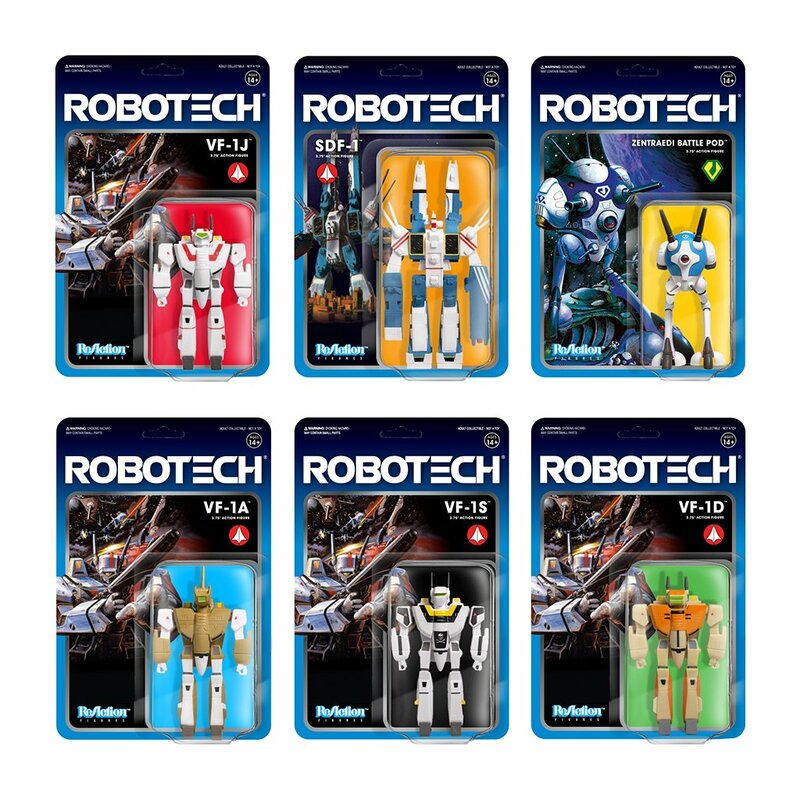 Individually blister-carded figures are each priced at US$15 per.